While growing up, and probably to this day, my favorite meal was fried chicken, mashed potatoes, and corn. That plate of food just screams comfort food, then, and now. As I’ve grown older, I find myself, probably like my elders, mixing corn into the mashed potatoes and gravy, and loving every bite of it. My kids, for the most part, hate vegetables. Granted, they are getting older and will experiment with some other vegetables, and I try to serve a nice healthy portion every night, struggling with them, for the most part, to have them eat their vegetables, but I typically fail. I thought that if I could make mashed potatoes, and hide some vegetables within, along with some bacon, that they might consider, but I lost that battle. This recipe is great if you are looking to include vegetables within your mashed potatoes, and can work with corn, carrots, or for me, our garden beans. Start by preparing your ingredients. Next, add cold water to a pot of water, enough to cover the potatoes by a couple of inches. Heat on medium-high heat, and cook until the potatoes are fork tender, about 15 minutes. Drain the potatoes, and return them back to the stove, cooking on medium heat to remove any excess water. Turn off the heat. Add the vegetables, in my case garden beans. Toss in the butter, milk, and salt and pepper. Use a potato masher and begin mashing until you have a desired consistency. 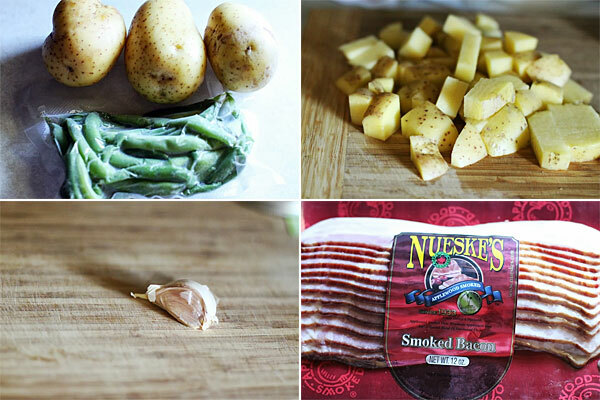 Fold in the bacon, taste, and season accordingly. Serve as a side with some of your favorite comfort foods such as meatloaf, or fried chicken. I know I failed on this one with my kids, but one day, I swear, they will begin to love the simple things that I tried to encourage every night at the dinner table. 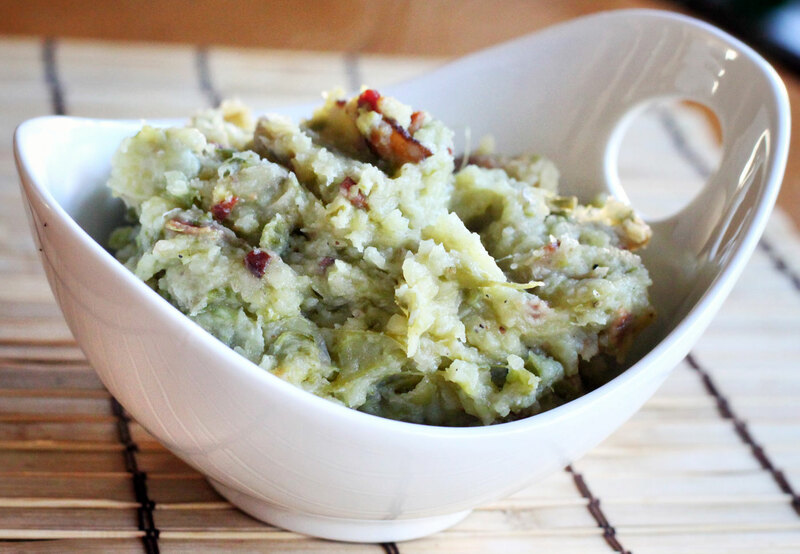 Until then… I hope you enjoy these mixed vegetable mashed potatoes.